This past weekend. T and I helped coordinate and run a statewide DeMolay event called Round Up. I am not certain if other states do this, or anything similar, but this has been an event at least since T was a DeMolay. The entire weekend is a series of sports competitions between chapters. It started as many weekend Masonic events do in Nebraska, with the three hour drive to Kearny with a van full of teenage boys. 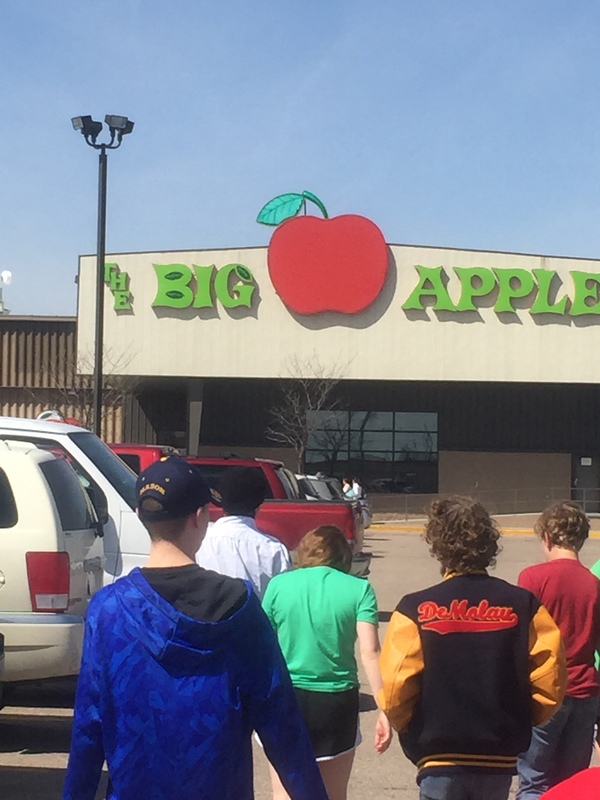 After a quick lunch, we headed off to The Big Apple, a family entertainment complex with bowling, go karts, mini golf, and more. 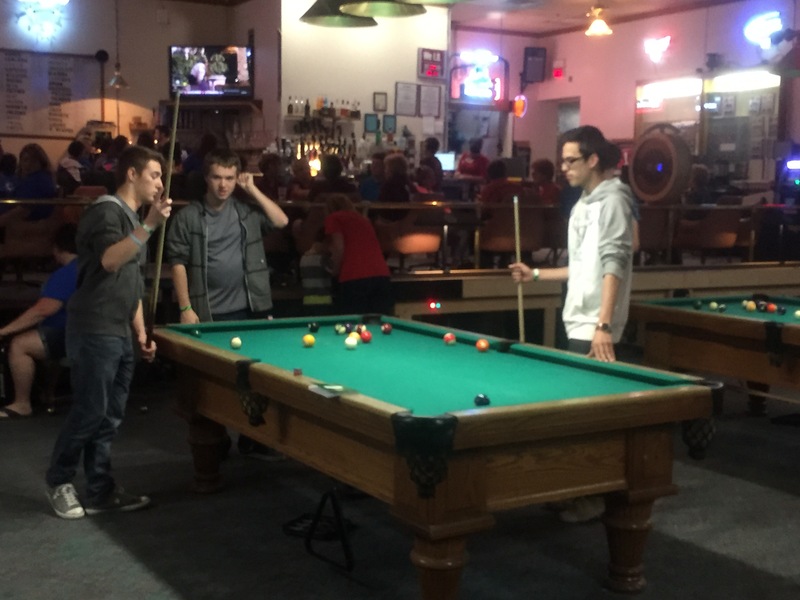 The first competition was an individual one, billiards. One of T’s brothers actually ended up winning first place! 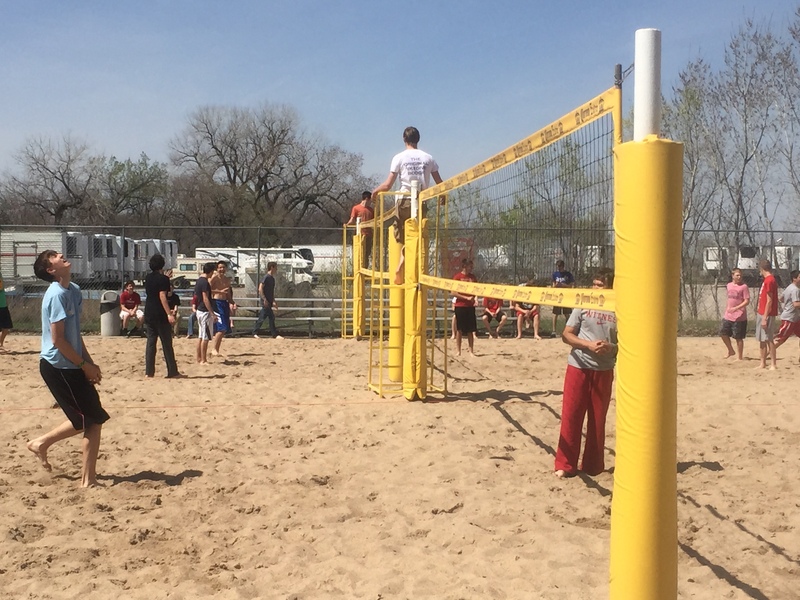 The second competition was team volleyball. They ended up doing both Chapter teams, as well as composite teams made up of players from the various Chapters around the state. 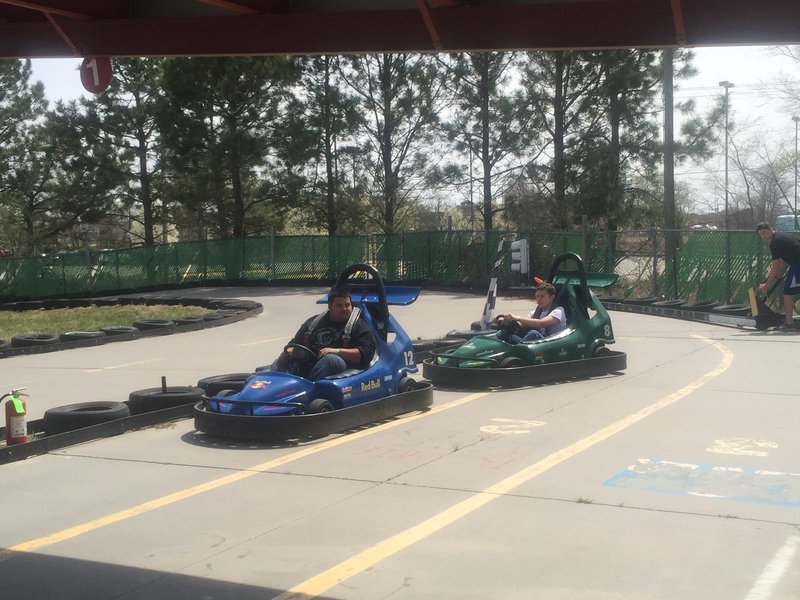 While not a competition, The Big Apple also had go-karts, which the boys were able to race in. 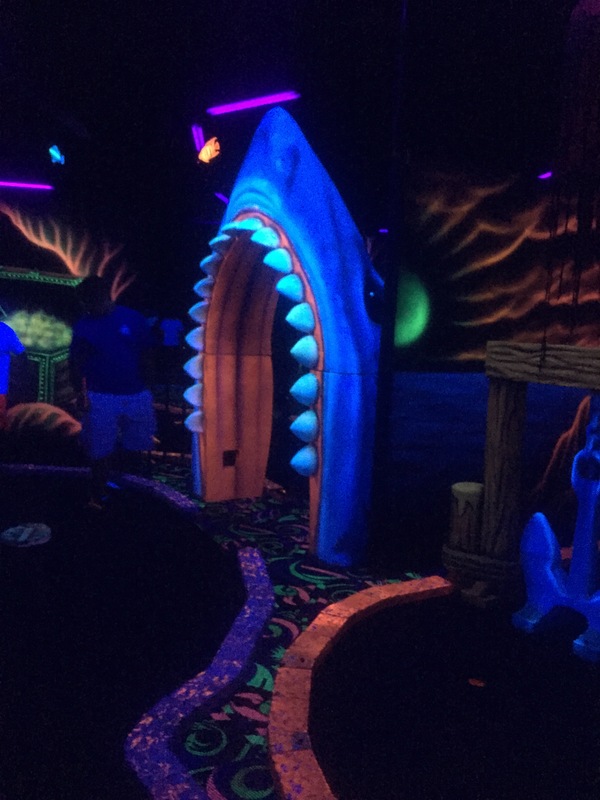 The final competition was mini golf. 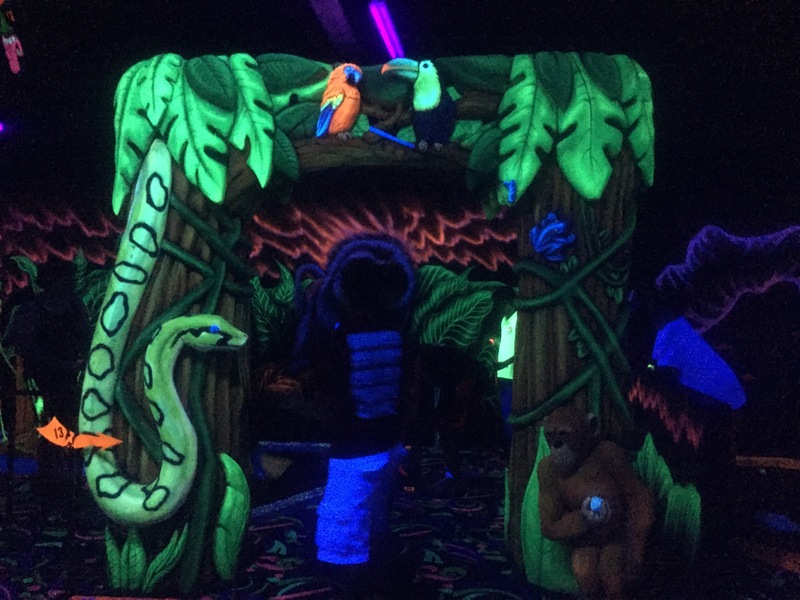 The course there was probably one of the coolest I’ve ever played. 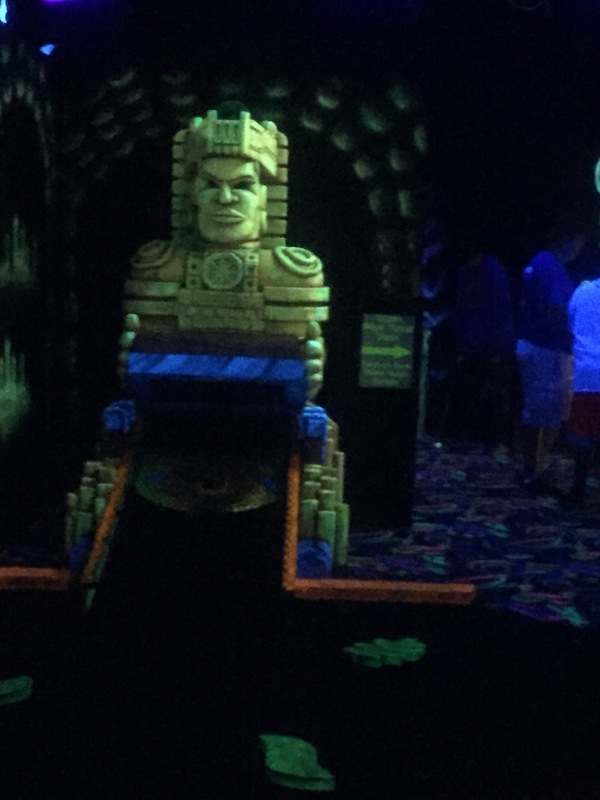 I mean, it was really, really cool. Like I would drive out there again just to play there. Luckily we are in Kearney fairly often for Masonic events, so we will be back. All of these competitions ended up taking about 6 hours. 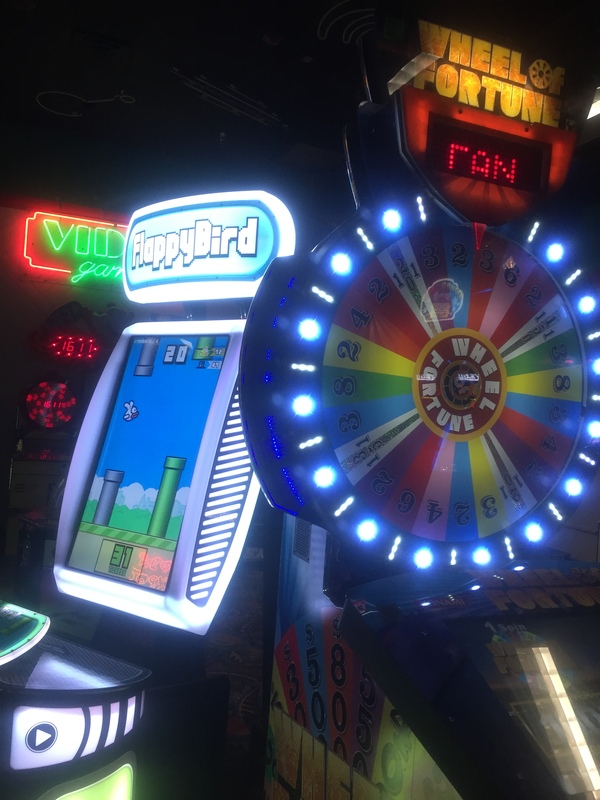 So I ended up spending a lot of time in the arcade. They had bowling as well, which was supposed to be a competition, but we barely had enough time to do what we did. We then went back to the hotel, and had a quick bite to eat. 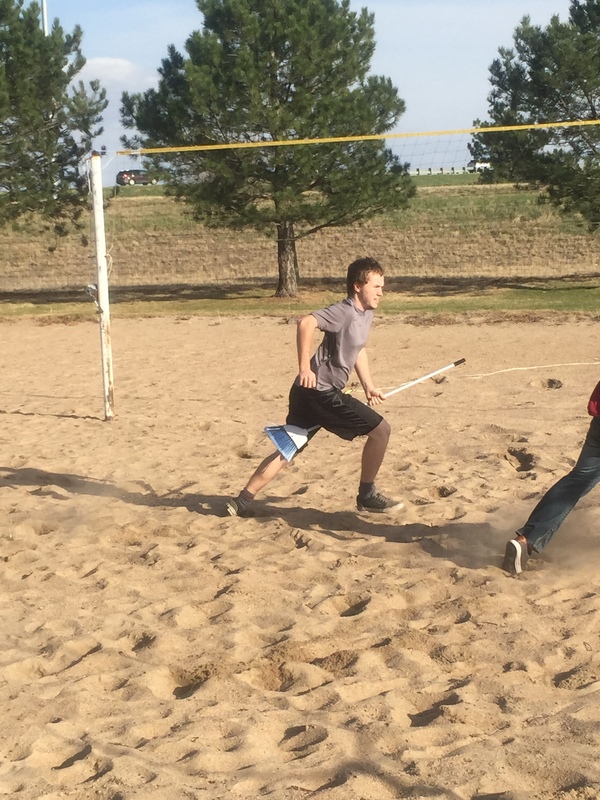 Afterwards, the boys went to the hotel’s volleyball pit, to play a few rounds of Quidditch. If you ever get a chance to play, or even watch a match of Quidditch, do it. It is highly entertaining. The guys then headed over to the local YMCA, for, you guessed it, more sports. 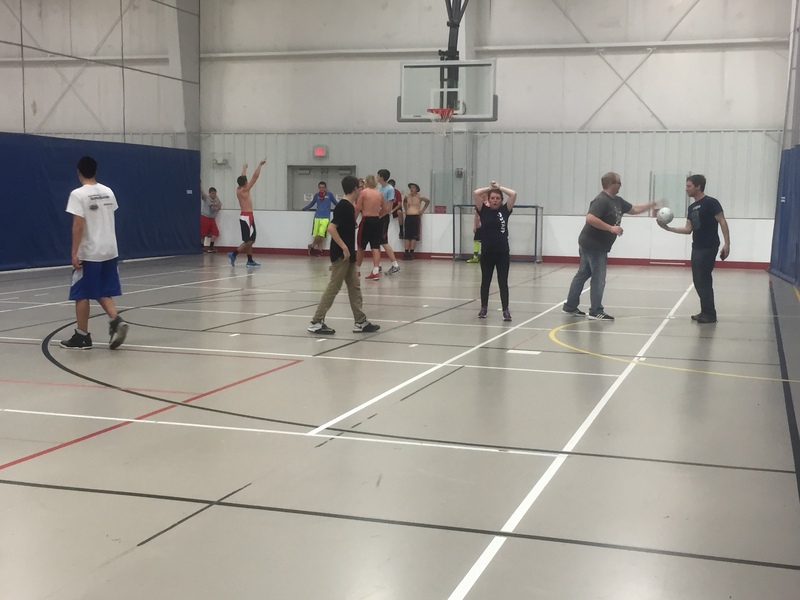 The games of the evening were soccer and basketball, done the same way that they did the volleyball. 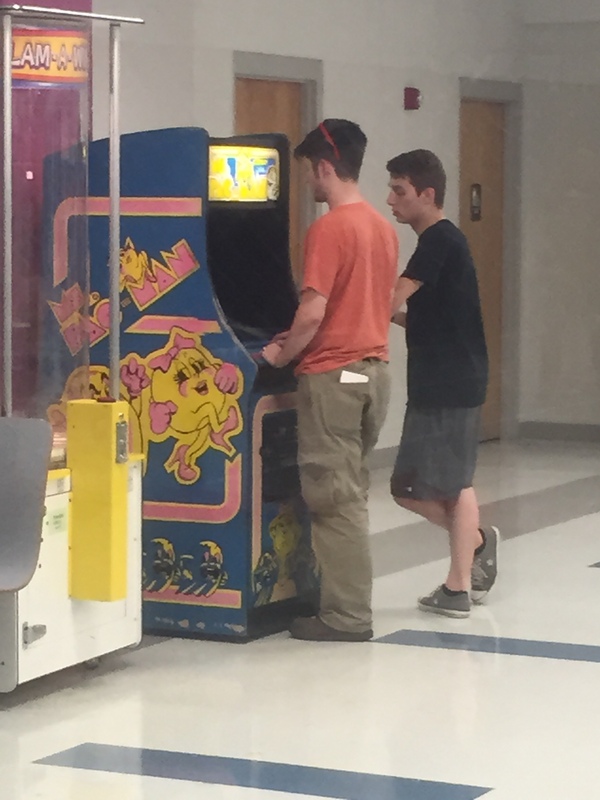 The Y also had a small arcade as well, which some of the nerdier guys preferred. 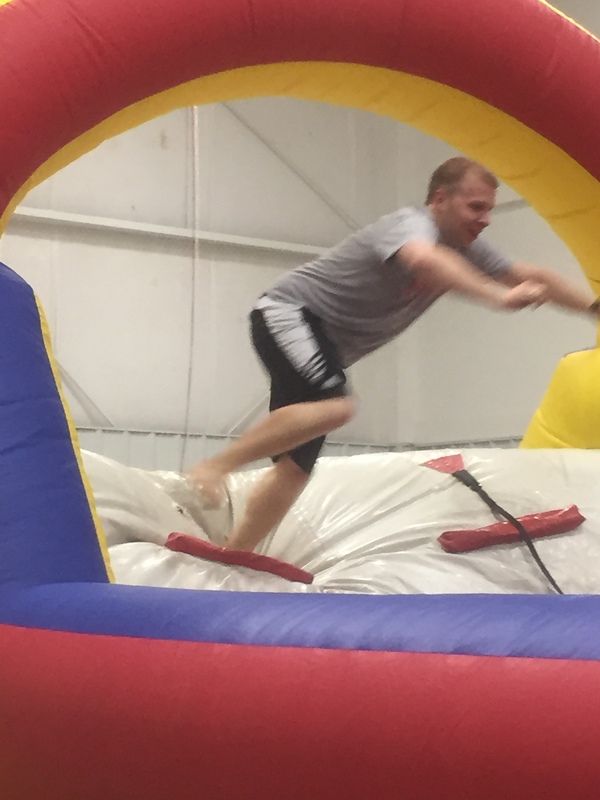 They also had a bounce house, which the adult advisers had to test first, to make sure that it was, you know, safe. It was about 10pm by this point. I headed back to the hotel for some much deserved sleep. Some of the guys, on the other hand, headed to a local Lodge for a Priory investiture. 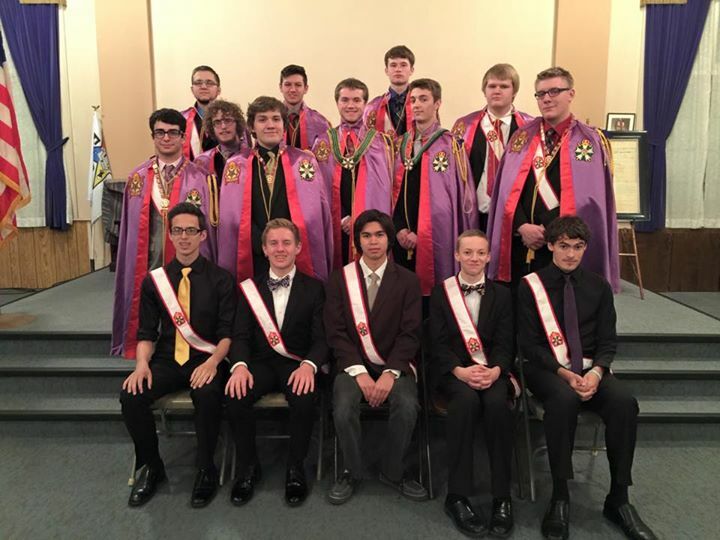 The Priory is a sub-group of DeMolay for boys 16 and older. Investiture is just a fancier word for initiation. I wish that I had been able to stay awake for it, hopefully next time. Sunday morning was spent doing a DeMolay long form initiation. See, normally, most DeMolay chapters only do a short form initiation when they welcome new members. There is actually an entire play for the DeMolay degree, similar to the ones done during the Scottish Rite degrees. However, this takes a large degree team that many chapters do not have access to. So, once a year at Round Up, Nebraska Chapters have all of their new members go through the long form initiation so that they are able to experience the entire thing. While any adult adviser (including myself), or parent of a DeMolay can watch the ritual, it is still considered secret work, and so cannot be shared here. After the ritual, awards were passed out for the sporting competitions. Lets just say that Omaha Chapter is not known for its sporting prowess. We then said our goodbyes, and headed home. All in all, a pretty great, if not a bit exhausting, weekend. The sweethearts had a jail fundraiser for Relay for Life where you could pay to put people in “jail” (no phones, no fun), and ended up raising over $500 over the weekend. On a completely different note, I have created a Tumblr for the Mason’s Lady. Much of what is here will be reflected there as well, as well as some other extras. You can find it here.